You’ll be pleased to know, you are not alone if you have questions about dental health and being pregnant. In the last two blogs, a few of your questions (hopefully) were answered. This third and final post in our series covers some tips you should follow to have good dental health during your pregnancy! For starters, eat a balanced diet. Good nutrition is utmost to the development of your baby. And, don’t forget to brush and floss! Good oral hygiene is equally important to both you and the development of your baby. Make sure your dentist knows you’re pregnant. Together you can make sure you keep your regularly scheduled cleanings and exams. 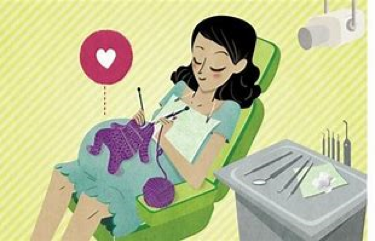 Any elective dental work should be scheduled after the end of the 1st trimester. Make sure you keep your legs uncrossed during your appointment. By doing so, you’ll ensure you maintain good circulation during your time in the dental chair. We’re pleased to offer a FREE report that provides addition important dental information. Why not get your copy now? The Consumer’s Guide to Straighter, Whiter Teeth is just a click away. And it’s absolutely FREE. Also, for additional information, make an appointment, or have a question answered, you’re more than welcome to call us at Airdrie Springs Dentist at 587 317 4161 or click here to visit our website.